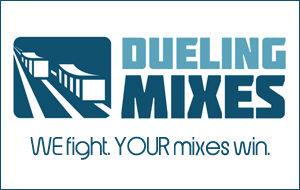 When you think about mixing, what comes to mind? For me it’s one thing: FADERS. We live and die by the levels. You could have the best EQ/compression combo in the history of the universe on your snare drum, but if it’s too loud in the mix it won’t matter. Or if it’s too quiet. Or if the overheads are too loud…or too quiet. While EQ and compression (and delay and reverb and automation, etc.) are very important to your mix, the single most important thing is LEVEL. Is everything at the right level? You can’t effectively do anything in a mix until you’ve taken care of balancing the tracks. That’s what I call the “static mix.” It involves setting levels while using ZERO plugins. I mentioned the static mix yesterday (about the video I had to shoot twice to get it right). Well, I have a bonus for you if you’re a VIP member. My VIPers (as I affectionately refer to them) get to watch my “How to Do a Static Mix” video as this week’s weekly video. I swiped it straight from the Understanding Mixing members area. A little treat for my cute little VIPers.